DeviceNet is an open fieldbus based on CAN, and it is used mainly in automation technology. DeviceNet originally was developed by Allen-Bradley. In order to establish this system better on the market, Devicenet was later handed over to the ODVA (Open DeviceNet Vendor Association) as an open standard. DeviceNet is standardized in the European standard EN 50325 and is designed as a powerful sensor-actuator network. For this, the KUNBUS GmbH offers products in various forms and different interface variants. The DeviceNet protocol was developed on the basis of the CAN protocol. 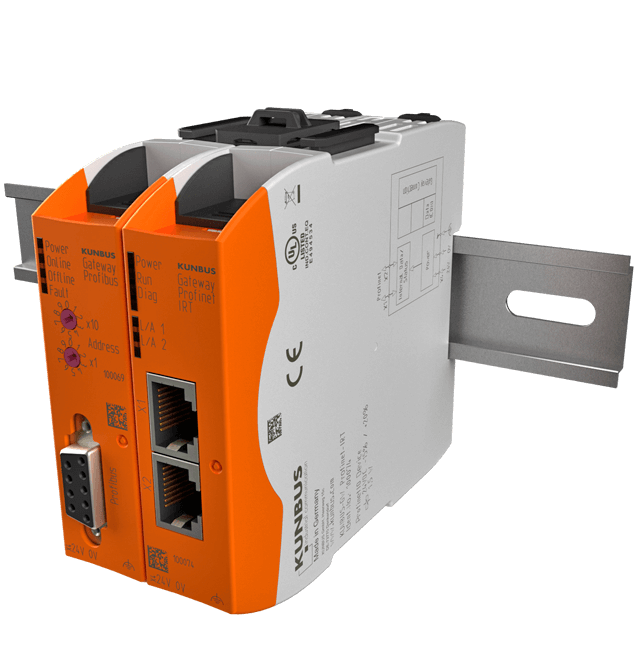 It is considered as an open fieldbus standard according to the European standard EN 50325 and is used mainly in automation technology for the connection of sensors and actuators. In the same way as Ethernet/IP and Controlnet, DeviceNet can be considered part of the family of CIP networks. With this, these three modern networks in industrial communication have a common application layer (CIP = Common Industrial Protocol). While Ethernet represents the routing level and Controlnet represents the cell level, DeviceNet is available in the field level. Designed according to the producer-consumer procedure, DeviceNet is object-oriented, where clients and server can be producer and/or consumer, while DeviceNet devices are either master or slave. The various application areas for the DeviceNet protocol extend from complex vacuum pumps to easily implemented light barriers. DeviceNet was developed on the basis of the CAN protocol. Here, CAN (Control Area Network) offers advantages. CAN is known for being able to transfer data to several stations while eliminating data collisions and doing this in a non-destructive way. When multiple messages are sent simultaneously by respective stations, the message with the highest priority takes precedence, which excludes the above-named data collisions. With this, the CAN telegram has max. 8 bytes available for the transfer of payload data. The connection between DeviceNet for transfer of data is enabled with the group 2 unconnected port or the unconnected message manager (UCMM). In this way, the exchange of payload data takes place while a CAN identifier builds the connection. After realization of the connection, explicit messages can be transferred and I/O connections can be made. DeviceNet devices can thus exchange I/O data, where an 11-bit identifier is used for encoding the data. Accordingly, 8 byte are available for transfer of payload data in the DeviceNet network. In order to profit from all advantages of the producer-consumer concept, the connection IDs for the encoding must be unique. As mentioned above, devices from a DeviceNet network can be client and/or server. With this, requests are sent by the client and responses are received. On the other hand, the server sends requests and then sends the responses. With this, different combinations can be considered within the DeviceNet network. Clients or server also can be designed so that they perform only message reception or transmission. As a rule, these are change-of-state messages, which can normally reduce the data volume in a DeviceNet network. The application layer for DeviceNet is CIP (Common Industrial Protocol). This serves to define the real-time communication (implicit messages), as well as the exchange of explicit messages, management and diagnosis, and configuration (all requirement data). Multicast-V1 or point-to-point connections enable the connection-based communication concept between respective devices, where data is considered as objects (object dictionary). Thus, simple master-slave concepts can be realized, as well as more complex multi-slave systems.